If you have vinyl siding in Culpeper, and haven’t replaced it in a while, you may be wondering when it needs to be replaced. Or maybe you don’t give much thought to siding at all, but still want to make sure there’s nothing obvious you’re missing, since your vinyl still looks fine. Whatever has you curious about the signs of failing siding, our guide will help residents with siding in Culpeper figure out what needs a replacement—and why a replacement is important with certain signs. Rot beneath your vinyl siding is a serious problem whether it’s readily obvious staining due to the decay of the underlying wood or the more subtle damage of fungus-induced dry rot. Even mild rot indicates a problem with the protection your siding provides your home, and almost always will require replacement of at least part of your siding. In serious cases, your siding may look completely fine while allowing the protective sheathing of wood beneath it to rot away, hiding significant damage just beneath the vinyl. When paint doesn’t last long on your siding in Culpeper, requiring replacement every few years or worse, then it’s a sign there’s something wrong with the siding. Paint should last on vinyl siding for several decades—and offer a protective coating that helps the vinyl last longer in the process. If your paint is failing sooner than that, you’re either using the wrong paint or you need new siding ASAP. Obviously warped siding needs to be replaced. Even if it’s not noticeable from a distance, it indicates problems with keeping moisture from damaging the home, and can indicate or lead to damage in the wood beneath—a much more expensive problem to resolve. If you’ve noticed spikes in your energy bills, an increase in draftiness in your home, or similar signs of poor insulation, it can often be tracked back to siding in need of replacement. Well-fitted siding in good condition works to keep the wind from blowing right through your walls, bringing in the heat and chill of the outdoors. It also keeps moisture at bay, allowing your HVAC system to focus on controlling the temperature instead of fighting to evaporate excess water. 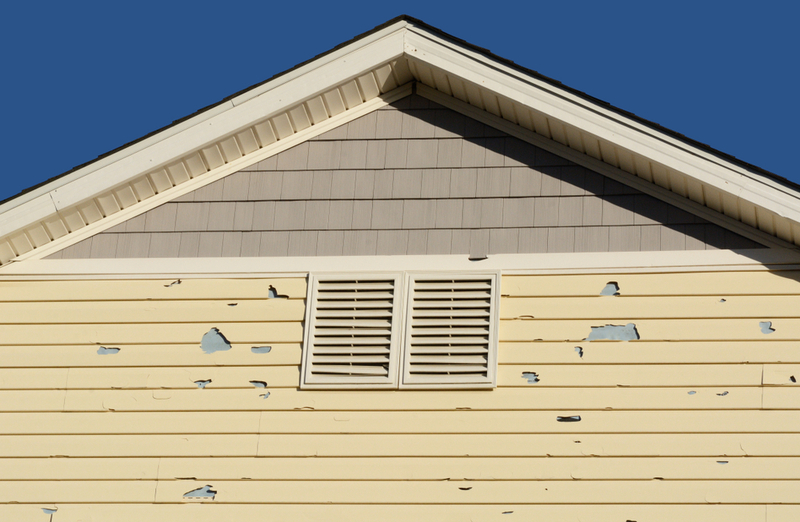 Cracks in your siding can be a singular problem requiring minor replacement or repair, but it can also be indicative of old siding failing—usually, a sign that comes after more serious problems have built up beneath the surface. If your siding is increasingly loose and likely to come off, it’s almost certainly time to replace all of it, as this indicates a problem with its attachment to your home—which in turn points to problems with the underlying wall. Noticing pockets of moisture on the inside of your home’s external walls? Paint peeling or bubbling, wallpaper coming loose, unusual stains? This can all be a product of failing siding. The often high local humidity makes this a common problem with vinyl siding in Culpeper. 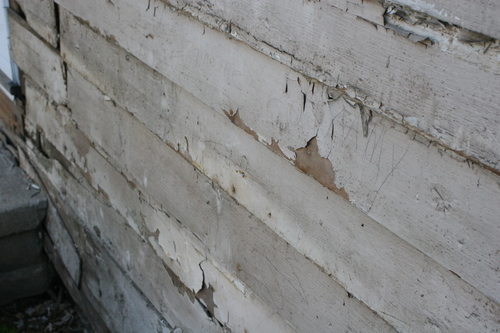 Holes in your siding can be like cracks in your siding; alarming, but not necessarily a cause for a full replacement. It should give you pause, however, and demands a closer look to make sure you don’t have more serious problems. 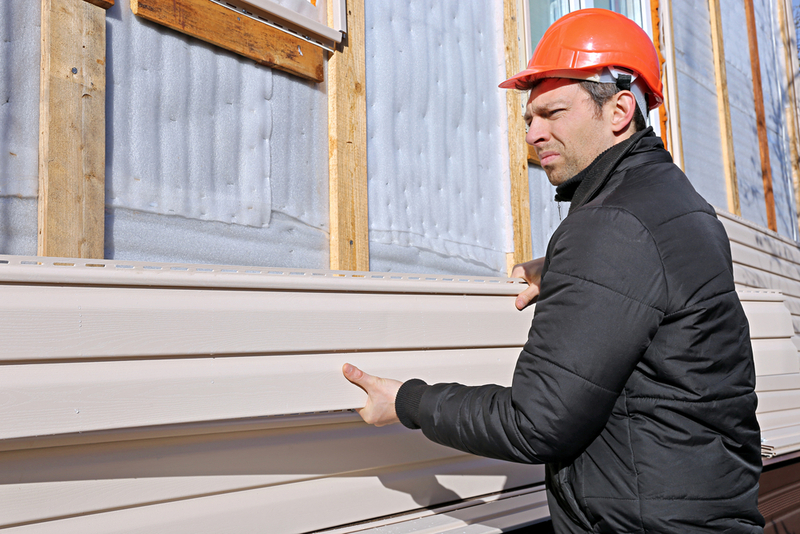 Once things begin to live in your siding, it’s probably time for a replacement. This extends to various molds, mildews, and other growths, and to small pests. Sometimes, the only sign that your siding is ready for replacement is the gradual fading of its color—especially if it does so unevenly and makes your home look aesthetically displeasing. Bubbling in your siding is a huge problem, and requires fairly urgent replacement in most cases, as it indicates a buildup of water under the siding. As you can see, there are a number of signs that siding needs replacement. Note the word ‘needs’—these are situations where siding is getting too old to function properly, and could lead to damage in your home. Even without these symptoms of aged or failing siding, however, you may want to contact our team to schedule a checkup or find out about newer options for vinyl siding in Culpeper. Are You Selling Your Home? Install Vinyl Siding!